How To Easily Repair Fingerprint Damage On Iphone 7/7P? Fingerprint unlocking is a screen saver unlocking software that uses your fingerprint data and performs record verification. For the first time using it, the program will sample your finger data. When the screen saver is turned on, you can easily unpack your phone by simply placing your finger in the scanning area and waiting for a short scan comparison. The first cellphone that uses fingerprints to unlock is the iPhone 5s. 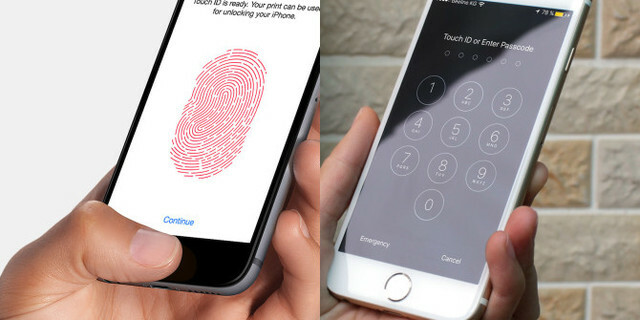 At the time, fingerprint unlocking was a unique technology, so the iPhone 5s caused a stir in the industry and the entire society, and the smartphone have thus entered the era of fingerprint unlocking. This fingerprint unlocking was once considered by everyone to be the safest phone lock at the time. FBI can't crack. Security must be accompanied by limitations. Due to the mechanism of Apple's mobile phone fingerprint program, a mobile phone is adapted to a fingerprint program. As long as the fingerprint program is damaged, fingerprints cannot be added to unlock, but can be used back. But since iphone 7, the limitations are even more obvious! aThe return function cannot be used as long as the fingerprint is damaged. iphone 7, 7P, 8, 8P without return function is very inconvenient to use! Some users reluctantly cut love, and sold it to those who bought accessories! Some of the peers felt that Apple's measure may be to increase sales. The reason, I think only Apple knows. Because the fingerprint is uniquely matched, the original button must be used for fingerprint recognition! All Apple mobile phone fingerprint buttons cannot be replaced by other buttons. Therefore, fingerprint damage repair has certain technical thresholds. As long as it is the original fingerprint, you can repair it, the repair probability is 99%, but you need to choose the technical maintenance technician. High technical content, if the original fingerprint is broken, it can only be cool. But today there is a good news from nandrepair, that the fingerprint-free machine is said to have been broken. Charging Port Dock Connector Flex Cable began mass production, and the fingerprint-free machines on the market have already increased their prices. Charging Dock Flex Cable is special for Fingerprint repair for your iphone 7/7P. when you meet fingerprint flex cable is broken, without fingerprint function, the battery drain easily, Home Button Return key does not response situation, you need to change a new Fingerprint function recognition repair home button cable.